Single material for all parts enables recycle without separation. 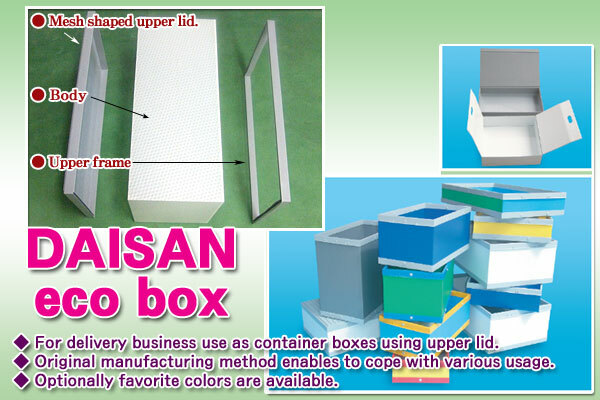 Contents arrangement by assigned colors of upper lid, body and bottom. Three layered design thoroughly reduces useless material. 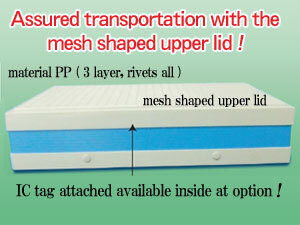 Three layered parts and all rivets are made of single material. Recyclable without waste separation. Individual colored parts enable the ready legibility from away ! Completely clean removal of sealing tape with nothing left. Reusable for many times.